We are a custom design - build - consulting home builder. We build 15-20 custom homes a year. UBuildIt is the best way to build or remodel your home. Come experience the UBuildIt difference. Design Tech Remodeling will help you translate your vision into a project that will exceed your expectations. 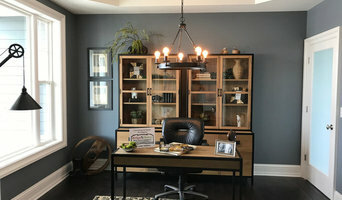 Design Tech Remodeling is a family owned business that has been providing remodeling services throughout the greater Milwaukee area since 1997. Design Tech Remodeling specializes in residential remodeling and is dedicated to creating great design ideas and technical execution of all its remodeling projects. Our remodeling team includes talented and reliable designers and skilled carpenters and craftsmen. Professional design and workmanship delivers quality results - on time and on budget. With Design Tech Remodeling, you will experience exceptional customer service and satisfaction. A commitment to our customers and our standard of excellence means that our customers will receive innovative design, quality craftsmanship, meticulous attention to detail, and timely completion of their project. Building a better tomorrow for our customers and their families in a home that they will love. Kaye Construction Services, LLC (KCS,LLC) was started by Joseph Kaye in 1994. 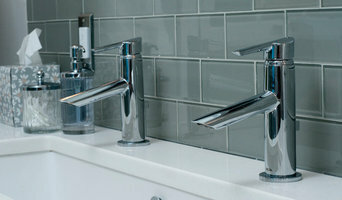 We continue to provide expert tile work for all areas such as floors, kitchen back splashes, custom showers and more. We work with small and large format tile, glass, porcelain, ceramic, & stone. 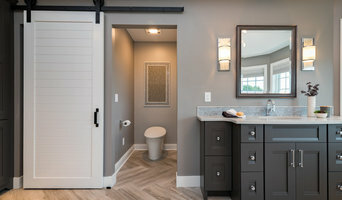 Gabor Design Build, LLC offers innovative and attractive design solutions for bathroom remodels, kitchen remodels, home additions and so much more. If you can dream it, we can design it, plan it and build it...from concept to completion. A home is defined as “the place where one lives permanently, as a member of a family or household”. Here at Gabor Design Build, we feel it is so much more. Our homes are an extension of who we are: what we do within the walls of our abodes shapes our mood, affects our productivity, and influences our outlook on life. Since our inception in 2001, paying close attention to every small detail is what we do best. Gabor Design Build begins each project with one simple goal in mind – to make people happy by designing amazing spaces for them. But we don't stop there, we run our business a bit differently – we get to know you and your family, personally. We do not feel we can properly design a space for you without knowing how you plan to live in it. Contact us today for your home design-build needs! Custom Builder of single family new construction homes and remodeler of kitchens, baths, lower levels, whole house and additions. Joseph Douglas Homes will deliver the highest possible quality building components and construction expertise on time and on budget. Through our commitment to continuous improvement and common courtesy, we will provide our buyers with the finest homebuilding experience available. Because our reputation depends on every home we build, we will take on no project for which we cannot feel proud. But before you start sending out dozens of emails and making phone calls, sit down and think about your project. What's your budget? What is the scope of your project? Will you need more than one type of professional to complete your home improvement project in Sussex, WI? Can you afford to complete the full project now, or should you tackle it bit by bit? Once you've settled on your project’s priorities, budget and scope, it's time to start researching Sussex, WI home design professionals. Don't sell yourself short and settle on the first professional you set your sights on. Make sure that you're working with someone local, who can get to the jobsite easily and efficiently. Look into the person’s reviews, ask to speak with former clients and to see previous jobs in person. Take a good look at their portfolio photos: How similar are these projects to your own? Be honest — that mansion might look beautiful, but it might not have a lot in common with your little bungalow. Reach out to multiple professionals — especially for larger projects — and don't settle for the first bid you hear. Comparing multiple Sussex, WI professionals' bids and experiences can help you find the one that’s best for you. Ask a lot of questions now, so you won't have unexpected answers later. Find a home design professional on Houzz. Narrow down your search by type of professional and location. Browse Sussex, WI portfolio photos, read client reviews and contact each Sussex, WI professional for more information. Check out the information in the specialized professional sections too for tips on how to hire the right professional for your project.